Product description: The cool kid on the block. 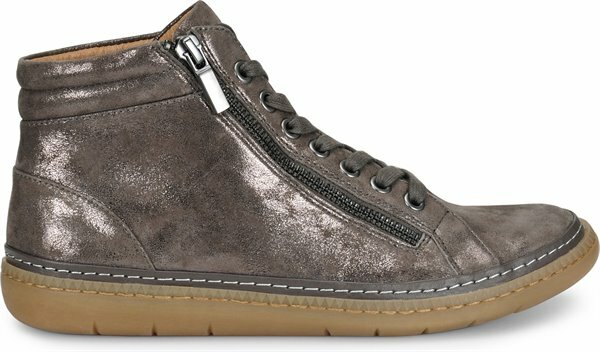 With its city-chic good looks and totally relaxed attitude, this high top sneaker is right on trend. I am very satisfied with this shoe. The quality of the leather is wonderful. 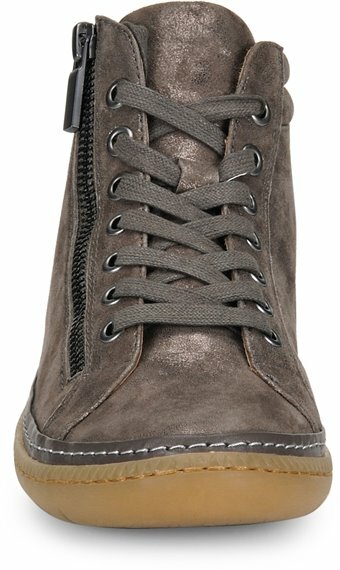 I sometimes wear without socks and would like to know if replacement inserts are available. If not, please provide any suggestions to keep them from wearing out. Thank you. 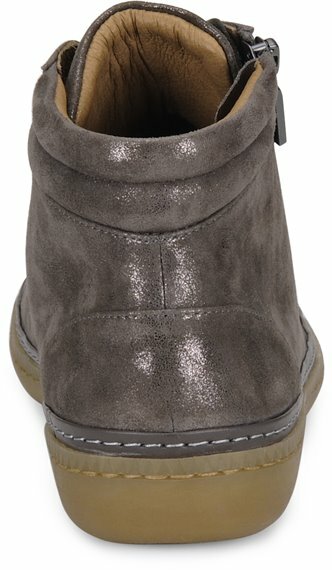 Love this shoe and get so many compliments! They are true to size. Make sure the tongue goes under the zipper and it won’t give you any problems. I never have to use the ties. Comfy for all day use. I’ve worn them 2-3 days a week for the last 3 months and they are holding up nicely. Great color, great style, great feeling under my feet. However,the zipper on the side is a workout to say the least. It gets stuck and then you have to take the shoe off and use the lace opening instead. Afraid the zipper will break eventually. Really wanted these to work out. I got this in black. 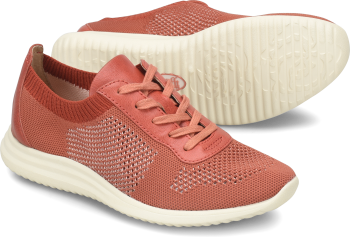 Very comfortable and cute, but the leather looks old already after about 10 wears, and the leather strips on the side are starting to peel. 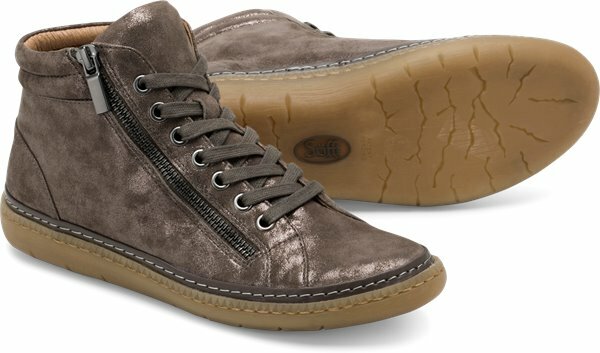 I ordered a 7.5 which is what several other of my Sofft shoes are. Those all fit perfectly. However, this one was like walking around in clown shoes. They were way too big. The rest seemed very comfortable. I will try the 7s. I give this show a 4 hoping for a 5 with the new size. These are so cute!! They were a little narrow but I have wooden shoe stretchers that took care of that. 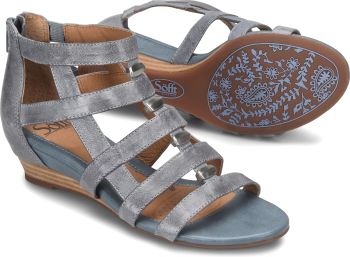 Love them and the new sofft styles. 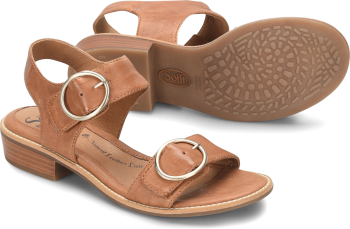 Love your sandals I wear size 11 in them. But in shoes I need 11.5 or 12 which you don't usually have. 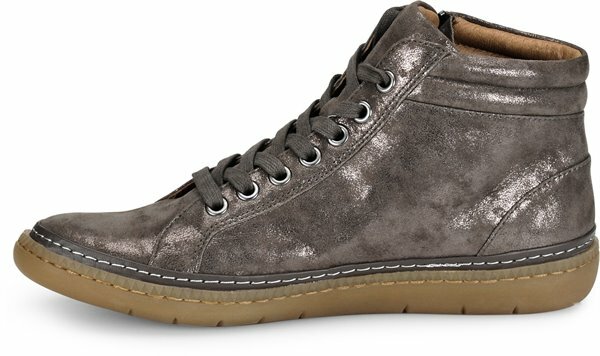 I love the look of this shoe. Really comfortable with a nice high arch.